Since acquiring Delcam in 2014, Autodesk has offered digital solutions that automate and integrate design and manufacturing processes with the latest technology for CAM, additive manufacturing, simulation, robotics and inspection. Solutions include FeatureCAM for automating CNC programming; PowerMill for programming the most complex components; PowerShape for preparing models for manufacture; and PowerInspect for inspection. 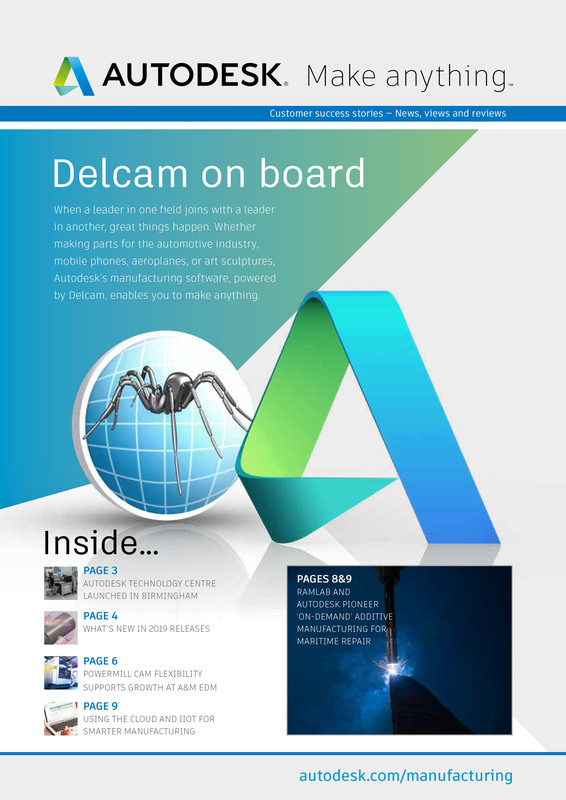 With Delcam on board, Autodesk has the manufacturing tools, expertise and support to help its customers to make anything.